Metal Band W.A.S.P: From Lawless To Life Giving? Home / Metal Band W.A.S.P: From Lawless To Life Giving? It was 1982-83 and I went to see Quiet Riot with no idea who was opening. It just so happens that W.A.S.P was the opening band. They were not exactly my style. A few years earlier I had come to faith and in Christ and so I was not into the whole occultist vibe with skulls and blood, but, I was 15-16 years old and it was rock and roll so I jammed through until Quiet Riot took the stage. I had heard some rumors a while back about Blackie Lawless finding faith but it was not in the forefront of my mind to track this down as I was not a fan of the band or music. 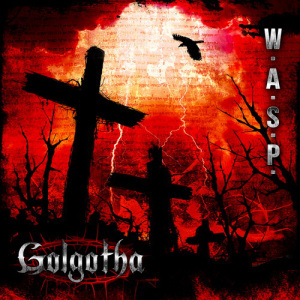 I was scrolling though some Christian Metal bands on iTunes and I was shocked to see W.A.S.P ‘s Golgotha in the recommended albums and that it had come out a few day earlier. I listened to the song Golgotha and was blown away by the music and the lyrics. The song takes the perspective of the thief on the cross and is haunting and hopeful. Now, I would not say this is a Christian album but Christian themes surely play a powerful part. If you want to read about Blackie talking about his faith and the new album you can read this excellent article HERE. I am a long time metal head and it only took 32 years but I’m warming up to the new W.A.S.P.. and I plan on getting the vinyl version for my collection. What do you think about rockers who find faith? Is their music just as good? Do you care if the lyrics have a faith bent to them?